On this site we have summarized the top new features of the recent releases on Simufact Additive. Please read and watch the videos to get an overview on the top highlights of each respective version. Do you want to know which key features we have implemented in the previous versions? Scroll down on the website and familiarize with the top new key features of each respective versions. Please note that we only provide the key features for the last three versions. The new orientation assistant supports the user during model set up. This new function offers a striking view of the build orientation, which makes the evaluation easier and more intuitive. Users determine the best build orientation by selecting one or more criteria which are most suitable for their process. The assistant displays the results for the component alignment in the form of a sphere. The colored illustration (green to red) shows the user how good or bad the component alignment is within the selected criteria. By clicking on the sphere, the part is automatically rotated in to the corresponding build orientation. This interactive and intuitive handling enables the user to get a preview of the build orientation. It is also possible to use this functionality with multiple parts, but the user needs to adjust every single part. Once this is done, the software automatically calculates the deviation of the manufactured part to the initial part – based on a “best fit method”. This process is repeated several times. After 3-5 iteration steps, the user receives a geometry that shows minimum deviations to the initial part. Simulations with multiple or complex parts are possible as well but naturally will need more time. During the deviation calculation the user is still able to work on additional projects in the software. This new feature is essential since virtual distortion compensation replaces time consuming and costly try-outs. This function consists of three methods that support the user while evaluating the results. Overall, all three functions enable the user to identify critical areas in the part. Recoater Contact: It indicates the probability of contact between recoater and part. Possible Part Failure: A traffic light system indicates how likely it is that the part cracks while printing. Layer Offset Intensity: During the printing process it is possible that a layer offset occurs. The layer offset is a change in the powder bed which can lead to a surface defect of the part. 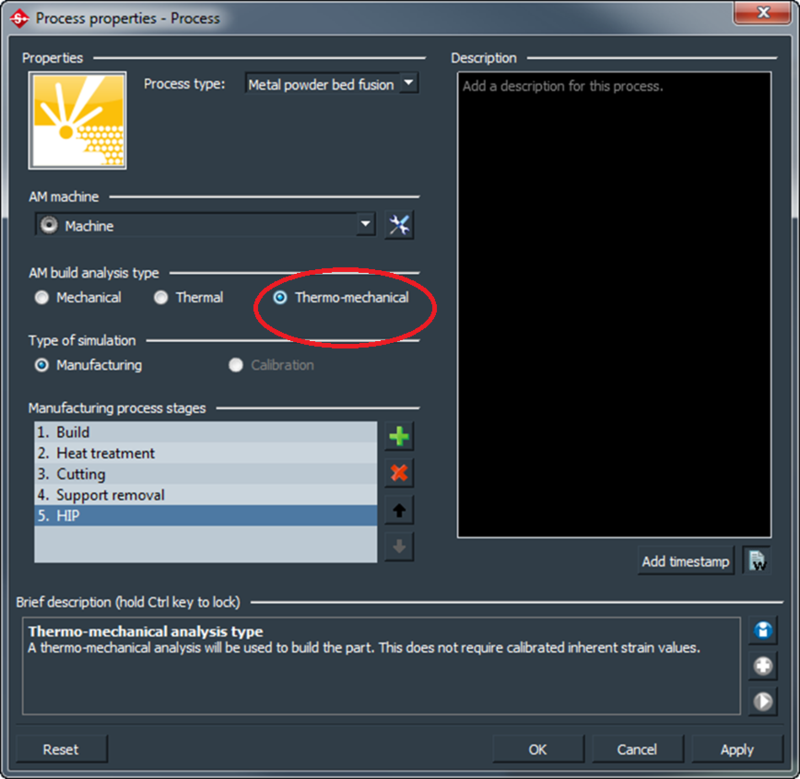 Employing this function helps the user to identify critical areas of the part. 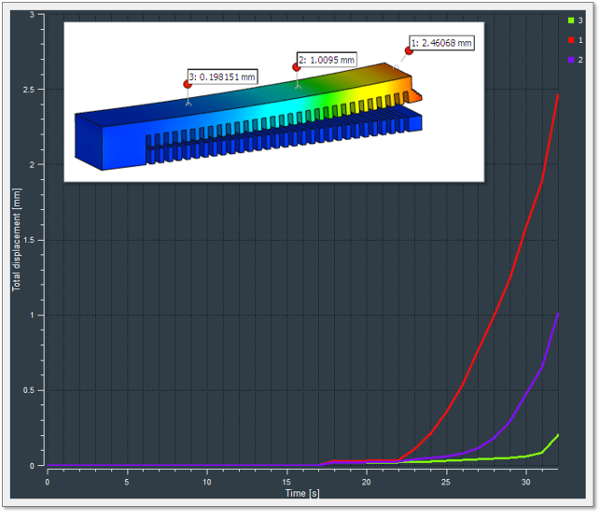 Identification of manufacturing issues in Simufact Additive 3.1, here: "Shrink lines"
Particle tracking to create history plots and advanced path plots enables the user to identify the material properties and material states in the different layers of a printed part over time. Applying the powder bed layer by layer can cause changes in the underlying layers due to heat influences of the laser. These can now be visualized with the particle tracking. In addition, a path plot function is available which allows the user to plot results not over time but over the distance between the particles. In addition to the proven pure mechanical inherent strain method Simufact implemented in version 3 a thermo-mechanical calculation method. The build process is simulated layer wise by a thermo-mechanical method. It allows users to make statements at an early stage about global thermal behavior in the part, for example, to detect thermal peak loads. This method is physically more comprehensive, since real machine parameters are used, including thermally relevant parameters such as laser power, laser speed and predetermined temperatures in the construction chamber. 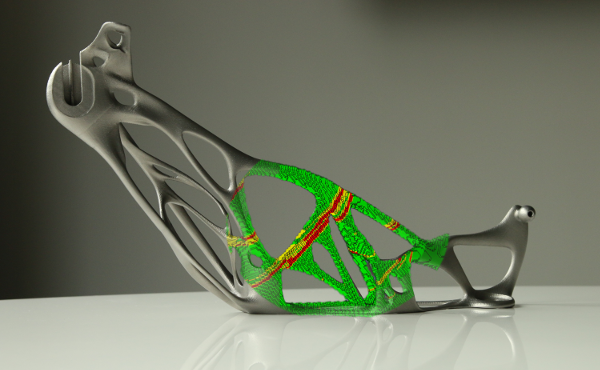 This brings the simulation closer to the familiar manufacturing process. During the additive manufacturing process, distortions and residual stresses occur both in the workpieces and in the base plate. The latter can affect the properties of the support structures and the component. With Simufact Additive 3 you can determine the influences of the base plate. As a practical application, the user for instance may determine when the base plate has become too thin and an exchange is required. In practice, several geometries are usually arranged and printed in the build space simultaneously. With Simufact Additive 3, the user quickly and easily models the thermal printing process of several geometries in the build space and recognizes at which point the components influence each other. In Simufact Additive 3, users can compare simulation results and reference model (e.g., CAD data) by mouse click using "best-fit" positioning. In the best-fit method, the software automatically determines the position at which the deviations are lowest. The visual presentation of the results, based on measurements, allows the user to quickly assess whether the deviations are within the permissible tolerances. 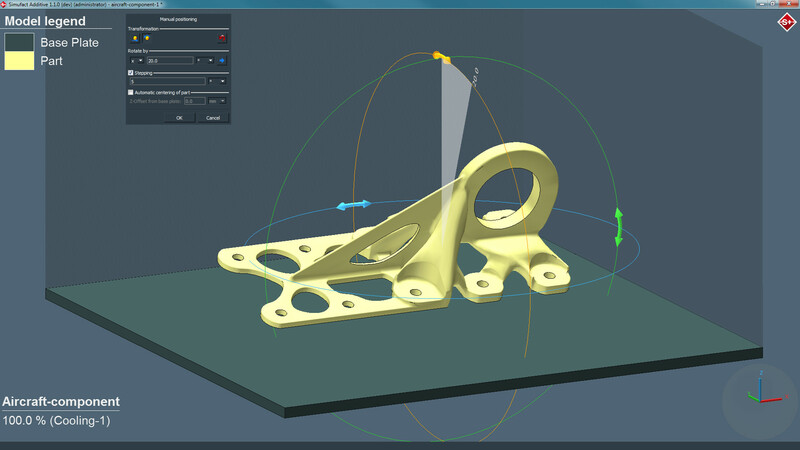 For this function, Simufact has integrated Hexagon's 3DReshaper technology. 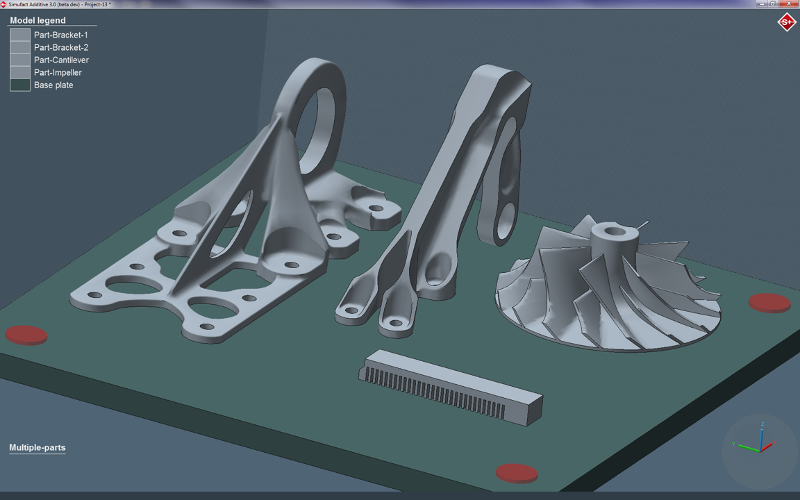 Simufact Additive 2 provides special handling to determine the most efficient positioning of parts on the base plate and allows for iterations to be made that optimize the build-up-orientation. Positioning the part is very intuitive, due to the easy-to-use-interface. Simufact Additive 2 takes into account orthotropic material properties, which enables a more realistic representation of support structures stiffness. Coarser meshing provides reliable results with a simultaneous reduction of the required calculation times. An effective, fast optimization of the entire process chain, including printing, heat treatment, cutting/removing of supports, and HIP. 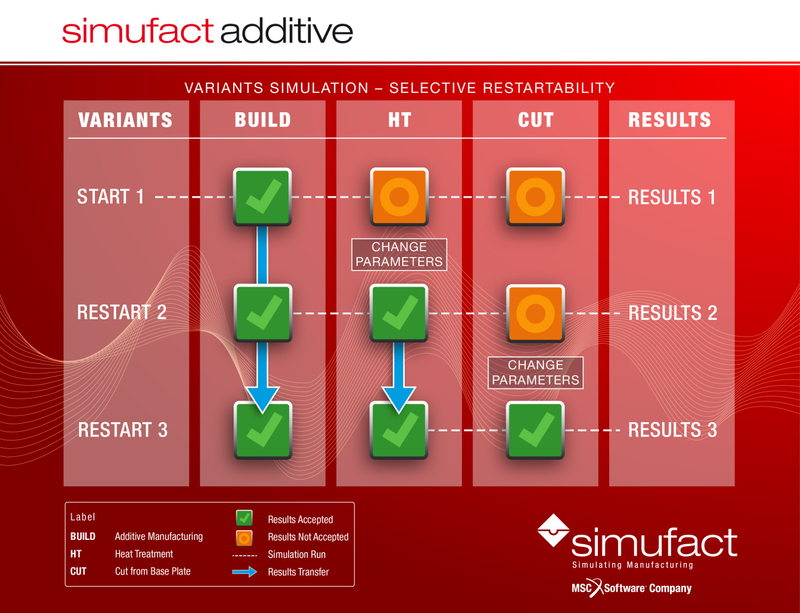 With Simufact Additive 2, users are now able to stop and re-start the simulation process at any stage of the process chain. Each process step can be optimized separately based on the previous results. 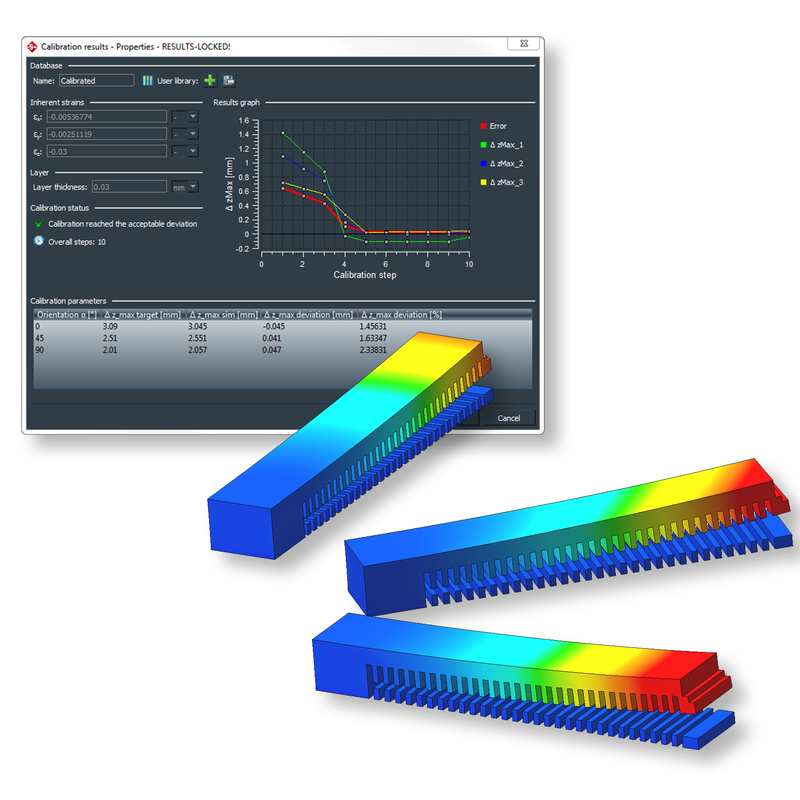 Simufact Additive 2 further shortens the simulation calculation times. Simulating the HIP process (Hot Isostatic Pressing) in Simufact Additive 2 now includes the parts porosity and its densification – based on the hollow-sphere model. The component density affects the product lifetime, which can be significantly longer, the less porous the work piece is. 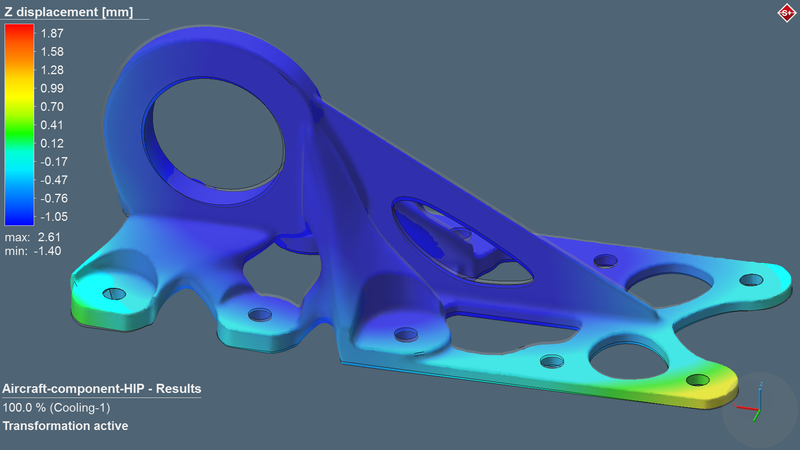 Simufact Additive 2 enables users with a comparison of simulated parts with the target design or 3D measurement data as a reference. 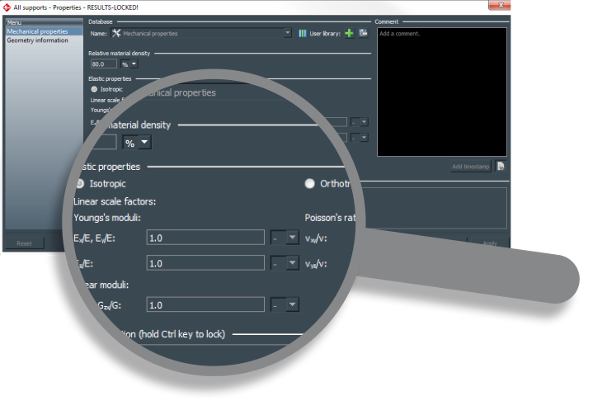 Users can also evaluate deformations relative to the reference geometry. 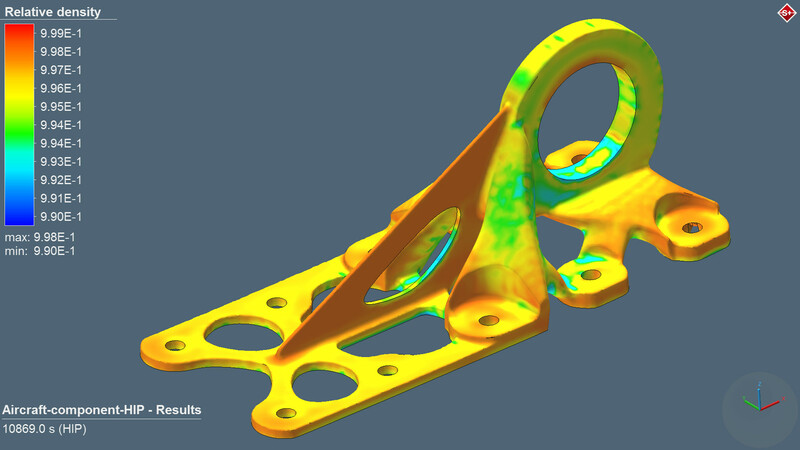 Users can measure the actual part and import the results into Simufact Additive. This ultimately provides engineers with an easier way to compare their results, which ensures a more efficient workflow.